Holy moly, Facebook is again at the center of a new privacy controversy after revealing today that its platform mistakenly kept a copy of passwords for "hundreds of millions" users in plaintext. What's more? Not just Facebook, Instagram users are also affected by the latest security incident. In a blog post published today, Facebook's vice president of engineering Pedro Canahuati said an internal investigation of the incident found no evidence of any Facebook employee abusing those passwords. "To be clear, these passwords were never visible to anyone outside of Facebook, and we have found no evidence to date that anyone internally abused or improperly accessed them," Canahuati said. Canahuati didn't mention the exact number of users affected by the glitch, but confirmed that the company would start notifying its "hundreds of millions of affected Facebook Lite users, tens of millions of other Facebook users, and tens of thousands of Instagram users." "In the course of our review, we have been looking at the ways we store certain other categories of information — like access tokens — and have fixed problems as we’ve discovered them." 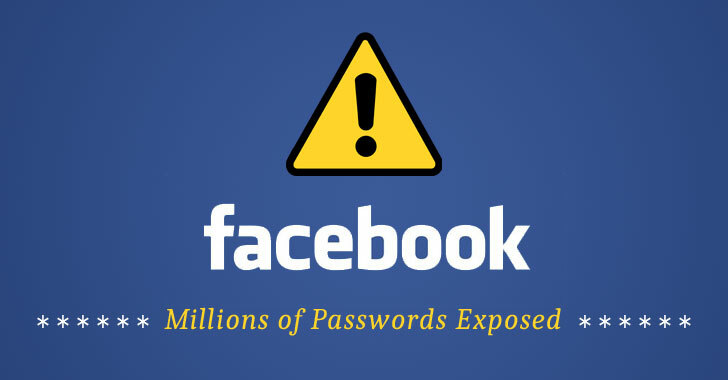 However, Facebook is not alone that exposed hundreds of millions of its users' passwords in plain text. Twitter last year also addressed a similar security incident that unintentionally exposed passwords for its 330 million users in readable text on its internal computer system.